Keystone XL pipeline now awaits the decision from President Obama for the go ahead. The pipeline, when completed would carry oil sands heavy crude oil from Alberta to refineries on the Gulf Coast. It is well documented that the extraction and consumption of the oil would significantly worsen global warming and contribute to increasing overall environmental and ecological damage to a vast part of northern Canada. Her husband lost his job as construction foreman after the building downturn 5 years prior and in the following year accepted a lower pay job with a private contractor in a small town just outside a military base. They were happy there, got to know their neighbors, attended a local church, along with their two children, they just wanted to fit in. Then the unthinkable happened when one day at work he was killed in a machinery accident. The contractor he worked for did not provide insurance coverage and after the accident, mom and children were left nearly destitute. With only social services to rely on, she was forced to leave the family home and move to a small apartment. Social services provision not being sufficient to live on, she was forced to work part time at a local diner. Having to leave her children unattended for several hours each day while she worked, the authorities threatened to remove her children from her care. Sometime in her despair she was offered a drug to hide the pain, she was hooked. Now in deepened desperation and in dire need for money, the woman felt the only way she could manage, was to resort to prostitution. The army base nearby provided ample customers for her illicit services. Her self worth crumbled, she became ashamed to be seen in public. At the church she attended, she was beginning to feel very uncomfortable. The greeters at the door, although polite, did not seem welcoming anymore. She began to notice people stare in her direction. No one asked her to help out at any of the festivities in which she had participated previously when her husband was alive. No one even comes over to talk with her any more. Her son has quit soccer and is now a victim of bullying at school. Her daughter is skipping classes and the police have picked her up twice for shop lifting. She has become exceedingly depressed. I know this woman. I believe you know her too. She arrives just as the service starts, sits near the back of the church and leaves before the service ends. She is a single mom, one of possibly the most ostracized group in the country. To clarify; Not all single moms give in to drugs nor will many resort to prostitution but, well over half are left close to defined poverty. Almost all need help in some way. Most single moms will leave the church. Institutional counselling cannot provide the the care and attention mom and family require. The single mom is one of the fastest-growing identified groups of our population, why has the church ignored them for so long? By “appearances” the perceived make-up of most churches is run by and for married couples with adequate incomes. It is difficult for many single moms to ‘Break the Ice’. They feel they will be a burden and their meager contributions just cannot measure up to the standards. There is often a shield put up by married women to protect husbands and family from the single mom. How has the condemnation of abortion without guidance and support led to the huge numbers of pregnancies ending in abortion? How has the lack of adequate counsel (for both girls and boys) led to so many young girls becoming single moms. How has inadequate marriage and family counselling from the church led to so many divorces? How has the condemnation of divorce without concrete support led to so many single moms leaving the church? Apart from seasonal support at Christmas, often through secular agencies, single moms are very much forgotten. The emotional state and spiritual condition of single moms is as important, if not more so, than the food and clothing. The most precious gift the church can offer a single mom and family is to be welcomed as Christ welcomes. Will single moms place a burden on the church? No! Will single moms use much of the resources of the church? Yes, Be glad in it! For more information for what the church can do for single moms, type in or copy, ‘single moms and the church‘ to your search engine. This morning after celebrating the 8AM Mass here at Holy Family parish in Albuquerque, I had finished talking to folks in the vestibule and aisles, when I noticed one middle aged woman standing to the side weeping. I approached her and realized she could not speak English, so I invited another lady to translate her Spanish. She was holding a baby, but said she had three more under 13 at home. I am an environmentalist. I believe all people have a role to play in protecting the environment and the eco-systems we live in. Even more so for us who claim a dedication to Christian principles. We were created by God to be stewards of all He created. Genesis 1: 28; And God blessed them, and God said unto them, “Be fruitful, and multiply, and replenish the earth, and subdue it: and have dominion over the fish of the sea, and over the fowl of the air, and over every living thing that moves upon the earth”. It is that word, “DOMINION”, which means REGENCY. God granted us regency in His creation. We, mankind, are to, use the land, the seas and all God has abundantly supplied but, we are to watch over it, take care of it, and return it to Him unsullied. God has asked us to be conservationists, environmentalists, ecologists and take care of this earth. 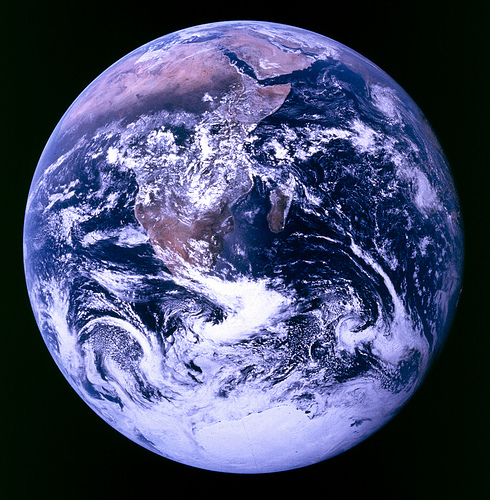 Perhaps, at least in part, it is our failure to look after this earth that the final act of the creation story is to create a new earth, one fit for His Holy Kingdom. I will admit, I get very judgmental over environment issues, especially towards those whose authority is to look after the affairs of our Country, Province/State, or community. Yes, I am referring to politicians I live in Alberta, Canada and I realize that even though I am retired, much of the benefits I enjoy come from the resource revenues created by the Oil Sands industry. 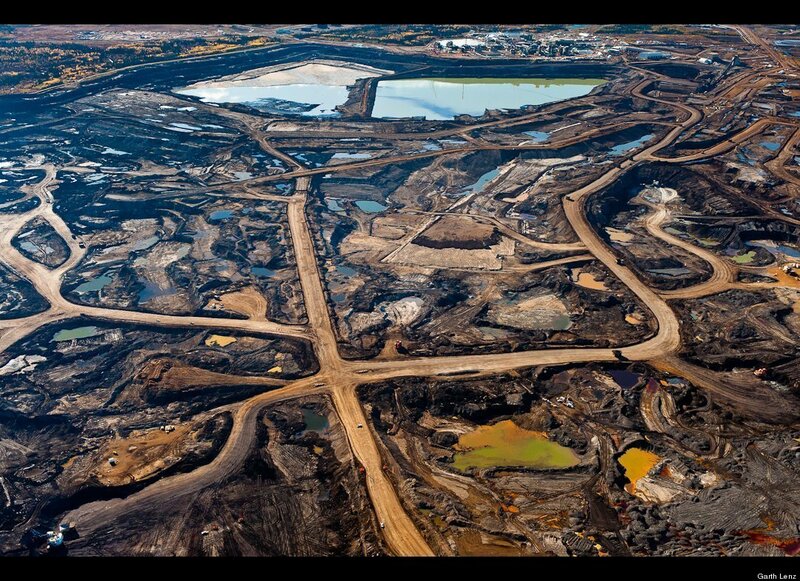 Some call it the Tar Sands, probably a more fit name but, that is another debate. The last thing I want in this matter is to have the Oil Sands shut down. That would serve no one. What I would like to see is proper management applied to this resource. Both the Federal and Provincial Governments know the problems with pollution, they have conducted numerous studies, they know the solutions and yet due to heavy lobbying pressure by the oil companies involved, they choose to do nothing environmentally constructive. They boast about the monies the project brings in, they spread economic fear that unnecessary meddling will create economic disaster. What I don’t understand is why the laws to protect the environment and ecology which are already in place are not enforced over the industries involved with the oil sands. Several months ago a government authorized study conducted by the Univ. of Alberta confirmed that pollution, directly attributed to oil sands operations, is having a detrimental effect on the environment and the ecology in a wide path, mainly east,(prevailing winds) surrounding the Fort McMurray, Wood Buffalo region. These reports were not released to the public and scientists who worked on the report were put under gag order. The report was eventually leaked by a subordinate several weeks later. Thank you for your letter concerning the recent study done by Environment Canada that confirmed the studies done by Dr. Schindler. As Environment Canada noted in their report, the levels of containments found in the samples were consistent with contaminants that have been found in areas with no development. Consequently, Environment Canada has decided to do further tests in an effort to better understand the levels of contaminants in the Oil Sands area. “…the levels of contaminants found in the samples were consistent with contaminants that have been found in areas with no development.” Of course they are consistent – they are the same contaminants blown there by winds coming off the oil sands. With regards to your comments about monitoring reports being kept secret, and scientists being ‘gagged’, it simply isn’t happening. The process of making reports public is not new, and has not been changed by our Government. OK, Let’s hear from the scientists themselves after the report was leaked. Watch the following news video. The public is learning Environment Canada knew of oil sands contamination and muzzled its scientists. What fallout will those revelations cause? We speak with David Schindler, international acclaimed and outspoken environmental biologist from the University of Alberta. This week a new report was released by Queen’s University, Kingston, Ontario This time the report was published directly to major news sources. This report confirms the findings of the previous UofA reports of last November. Leading federal and academic scientists have uncovered “compelling” evidence that Alberta’s oil sands operations have been sending toxins into the atmosphere for decades. The team has found “striking” increases in contaminants known as polycyclic aromatic hydrocarbons (PAHs) at the bottom of six lakes up to 90 kilometres from the massive oil sands operations in northeastern Alberta. PAHs began to climb in the lake sediments in the 1970s and are now up to 23 times higher than 1960 levels. It says the increased PAHs coincided with oil sands development and the compounds have a distinct “petrogenic” fingerprint different from PAHs generated by natural phenomenon like fire. Levels of the toxins have almost tripled since the 1960s in Namur Lake, the most remote lake tested. It is about 90 kilometres northwest of oil sands operations in a provincial park known for its fishing. The PAHs are up to 23 times higher in the other lakes, which are within 35 kilometres of the oil sands operations. “Given the planned expansion of the oil sands, the trend will likely accelerate in future,” says co-author John Smol, a Canada research chair in Environmental Change at Queen’s University. The US is in dire financial trouble and much of that is the trillions in debt they owe to and borrowed from China. Phoenix Energy Holdings Ltd., the Canadian subsidiary of PetroChina Co. Ltd. is already in partnership with TransCanada Corp. to build a new $3-billion, 900,000 barrel-a-day Grand Rapids Pipeline System south to service the US market. Couple that with the existing pipelines, supplies the US all the oil they need. This pipeline is a guaranteed “GO” by Harper and co. In five years, the US, under a Republican administration, will broker a deal with China which will ease the burden of debt China holds over the USA. Why not forgive a large portion of the debt? China will never collect on it anyway. Besides, they need their biggest trade customer to remain fiscally solvent. Part of that deal is to supply the US with cheap bitumen crude from Canada which will force the barrel price of oil sands crude to below $50. At this price, Chinese companies will be the only producers who can afford to continue oil sands operations. In exchange for cheap Canadian oil, China will import crude oil from Alaska, also at a discounted price; better oil, shorter distance. The Northern Gateway Pipeline through BC is started but never completed. Many investors abandon the oil sands for lack of profitability. Safety will decrease, pay will decrease, exodus of Canadian workers, Chinese workers brought in as “temporary”. New energy technology will replace majority of fossil fuels within 20 years, possibly nuclear and thermal. Over $400 Billion projected costs to clean up after the oil sands bitumen demand runs out in 20 years. The only promise that the Conservatives will be able to say they kept is the 20 year promise to reduce fossil fuel greenhouse gases. Does any Canadian want to work underground in a coal mine for $12/hr? Apply at Dehua International Mines, Tumbler Ridge BC. The median starting wage for coal mining in Canada starts at $55,000 per year / $25.00/hr. Peace River Coal Inc. an operation nearby typically pays its employees 10% over median. Sherritt International in Alberta pays approx. 12% over median. Canadian Dehua International Mines Group Inc., a consortium of Chinese companies has put up $1 billion to develop metallurgical coal from B.C.’s northeast. After posting publicly for miners and offering $12 to $15 /hr. and getting no Canadian takers for the jobs, they are now bringing in up to 400 Chinese temp workers at 15% less pay, $10 – $11 /hr. Its hiring policy has the support of Canada’s federal government, which has already approved temporary visas for the Chinese workers, and the provincial government, which sets regulations regarding mine operation and safety. The Chinese management at Murray River has stated that Canadian miners don’t know longwall mining and preference is given to workers who speak Mandarin. This is union busting at it’s lowest degree. Not only is the government permitting this atrocity, the Chinese miners will be paying bare minimum income tax on their wages if any at all. The coal that is mined is sold directly to China at a discounted price leaving less royalties paid in Canada and, because of the below market price, most likely a trumped up loss on the books of Dehua International Mines meaning no corporate taxes paid either. It is a lose – lose – lose for Canada. Just another brilliant example of resource management by the Feds. Seeing the safety and performance records of Chinese owned companies, can they really be trusted? Yukon Zinc Corp., another Chinese mining company operation has been closed for safety reasons by the Yukon Government after several deaths over 3 years and a massive cave-in occurring February 2011. Two imported Chinese workers have already been killed while erecting a storage tank at a Chinese site in the oil sands. Recently, the Government of Alberta launched a study called; Speak. Share. Thrive. in which they want the public to discuss the guiding principles of the Social Policy Framework, especially at this relates to Early Learning and Child Care. Alberta has the highest “Cost of Living” across Canada and Alberta enjoys the highest take home pay average in Canada and yet has the lowest minimum wage of all provinces. How does this relate to the Social Policy Framework of Alberta? We can not look at the social and economic factors surrounding minimum wages without regard to the effect on children in families living at or below the poverty line in any society or province. The economic conditions in which they grow and develope are not of their making and yet they are hindered by economic circumstance in: social and cultural adaptation, education, opportunity, sport, and health. All these factors lead to social problems which they will have to meet and overcome as the reach maturity. Empirical evidence shows that most if not near all remain in the lower spectrum of the economic scale. Economics are only part of the hurdle facing children in low income families but, it is a major part and needs to be addressed. Minimum wage levels do play an important role in the economics of low income families. Questions pertaining to minimum wage. What is the social responsibility of a government to set minimum wages at a liveable rate? Do families struggling to get by on low paying jobs place a greater burden on social services? Will the burden to social services be eased by raising the minimum wage? Do companies have an obligation to pay a liveable wage to all their employees? Does raising the minimum wage lower a companies profits? How does raising prices to compensate for higher minimum wages effect the community/province as a whole? Should the minimum wage be set by indexing to the Consumer Price Index? Does providing free child care services or other benefits for minimum wage earners justify a lower minimum wage? Do students require a higher minimum wage in order to help pay for schooling? Should some sectors of the work force be regulated at a lower minimum wage? ie. farm workers? restaurant workers? child care workers? homes for elderly workers? semi-retired workers? students? temporary foreign workers? Do employees who collect gratuities (tips) require the same minimum wage as employees who don’t? Is it discrimination to set a lower minimum wage for servers who receive gratuities? Is it proper for restaurants to include a gratuity as part of the bill? Does an employee working a secondary income to a well paid primary job holder require a sustainable living wage? How could the labor laws differentiate between those on secondary income and those who need a decent wage to provide for the family? Would it be fair to increase taxes for secondary income employees in an effort to make secondary incomes at the lower wage end mostly not worth holding the job and therefore provide greater opportunity for single earner families? If minimum wage is increased, should the requirements for social security and remaining on employment insurance be strengthened? “Over the past decade or more, federal governments, working in co-operation with business, academic and media interests, have been transforming our relatively collectivist, sharing and democratic society into one that is individualistic, profit-driven and corporate-dominated — an unprecedented revolution. Canadians have heard a lot about Canada being “the best country in the world.” We have been promised that the worst of the anti-deficit “healing” process is over and we will soon begin to benefit from painful deficit-reduction and restructuring. But, in reality, this country is being privatized, decentralized, deregulated and continentalized to such an extent that the tools once used to ensure fairness and equity are being destroyed. How have the Liberals, the Tories and the large corporations which fund them and firmly control their agendas managed to get away with this wholesale dismantling? For one thing, although Canada is an extreme case in terms of the speed of its transformation, we are not out of sync with the world. Other nations, too, are being restructured. The International Monetary Fund has a “structural adjustment” program that consists of paring down government, privatizing national assets, weakening social programs, opening up investment, and liberalizing trade. Sound familiar? What I find most alarming is that this paper was written in May, 1998, and political conditions are only worsening since. In principle, most Tory voters agree with bill C-38, but, it just may be to all encompassing to be comfortable with. What is creating some suspicion is that there are virtually no columnists writing in favor or defending the budget as written. Would it not be in the Tories best interest to break the budget up into appropriate segments? As it stands, few Canadians have any inkling of what the budget contains. 600+ pages is far too much to digest. Is this the Harper thinking? A Tory voter is a Tory voter, just get it through in one big shot, we have three years to let any criticism fade and they will vote Tory again regardless. There is very good chance many can be persuaded not to vote Tory again. Or are the Tories making one big offensive knowing that they are most likely to lose their majority come 2015? Their debate in the House is not helping them. To make things worse, the out-right lies and innuendo coming from the likes of Levant and Adler, just add to the suspicion that maybe the critics on the left have a point. The budget is to large. Maybe there is some curious parts to this legislation that need more time and debate. Which is worth more? Tarsands oil exports to China, or securing the ecology of the BC North Coast. Is it an either or situation? Can we have both? Enbridge’s economists have calculated that building the pipeline and shipping out Alberta crude will increase the gross domestic product of Canada by $270 billion over the three decades. What is the BC North Coast worth? Can it’s value be quantified in dollars? The Coast Guard reports 8 incidents in the years 1999-2010 involving bulk carriers and general cargo vessels with experienced captains and certified pilots aboard along the same routes the tankers will travel. The largest of these vessels being less than half the size of mega tankers. Another important question is; Can Canada trust China? Are we allowing too much Chinese state controlled investment in our resources? Will there come a time when China is calling the shots? They refuse to ratify an agreement on investments to date. Their foreign policy and actions are abysmal at best. Is the Pipeline Joint Review Panel just a political facade? Will it’s findings carry any weight in the final decision? PM Harper seems to have already endorsed the project and is about to ratify an agreement in principal while in Beijing this week. Maybe we can nickname the project, the Panda Pipeline. Where does the interested Canadian turn for a rational view on the Gateway Pipeline Project? “A group of First Nations in British Columbia says it will do “whatever means necessary” to stop exports of crude oil from Alberta’s oilsands through their territories — including the controversial Enbridge Northern Gateway oil pipeline. The pipeline would move 525,000 barrels a day of oilsands crude 1,177 km from Edmonton to the Pacific port of Kitimat, B.C. “Access to the Asian market, which is growing very quickly, is extremely important,” said Travis Davies, spokesman for the Canadian Association of Petroleum Producers. I will be the first to admit that I don’t know all the facts about oil production and distribution. I have thought about energy and environment and these thoughts run through my head. The Enbridge Northern Gateway oil pipeline could lead to an environment disaster, true. There is a bigger more ominous problem, economic reality. The reality is that Canada imports roughly 60% of its crude oil requirements. Canada is a net energy exporter, Crude oil, natural gas and coal, 99 percent of its annual oil exports to USA, but, Canada also imports large amounts of these energy products. The fact is its major coal and oil fields are located in Western Canada, mostly in Alberta. The main population and industrial centers are located in Ontario and Quebec. Also many of its oil refineries cannot handle the types of oil produced in Canada. Canada is being held hostage by the oil industry. Not just Canada – the world. Canada exports near all of Canadian production, money in oil company pockets, and they want to export more, and then import more than half of Canadian needs. Ummm, who does the Tar Sands oil belong to? If Enbridge can build a pipeline to the Pacific, they can build a pipeline to Ontario. If it means using Tar Sands oil, then update the refineries to do so. They won’t because Canada would become oil independent and would then be in the position to get out of OPEC and have lower crude pricing and energy costs would go down. The oil producing companies would cry. It is not enough just to extract and export or to extract, refine and export. If the end user is over contributing to global warming, not using the best technology available, the end results will remain the same and the Kyoto Protocol will become of no effect, in actuality it probably already is. Should Canada allow exports to countries with insufficient pollution standards? Canada can no longer play the resource game just for profit. Curbing emissions in Canada is of no account if Canada allows other countries to use Canadian resources and products in environmentally detrimental ways. China and India are the top environment offenders. Simply put, we cannot allow our environmental obligations to be traded away. Emphatic NO to exporting oil to Asian countries. Canadian oil for Canadians first. The USA will import all the rest Canada can produce. That is good for Canada, good for the USA. If Canada can help the US in their energy crunch, the global economies will become more stable. That is if the USA has the balls to solving their financial crisis. The battle lines are drawn, and Northern B.C.’s pristine wilderness is the latest front. With hearings underway into the proposed $5.5-billion, dual 1,172-kilometre Enbridge Northern Gateway pipeline project to transport bitumen from the Alberta tar sands to Kitimat and imported condensate to dilute it from the coast back to Alberta, the fossil fuel industry and its supporters have stepped up the rhetoric. Environmentalists and people in towns, rural areas, and First Nations communities in B.C. have lined up in opposition. Many Canadians are not happy with the proposed “Northern Gateway” pipeline from Alberta to B.C. and understandably so. Fears of oil leakage, secondary environmental impacts, attacks and other concerns are most definitely reasonable and valid and should be raised. Hats off to all of the people who are expressing their opposition to the plan! BC Natives fear disastrous oil spill inevitable? The Gitga’at First Nation has been saying no to the Northern Gateway pipeline project since 2006. The project will bring more than 200 huge tankers annually through the waters next to their tiny community of 160 in Hartley Bay at the entrance to Douglas Channel on B.C.’s northwest coast. The risks and effects of an oil spill are simply not worth any economic benefits, which the First Nation view as nil, says Marvin Robinson, a spokesman for the community. Rhetorical mudslinging has dominated Canadian environmental news this week, with conservative politicians and environmental activists coming to verbal blows in the wake of the commencement of the environmental assessment of the Enbridge Inc. Northern Gateway pipeline. The proposed pipeline will run from the Albertan Tar Sands to a long protected channel in Kitimat, BC, where the harvested oil will be loaded onto ‘super-tankers’ and transported to Asia. The pipeline project is estimated by Enbridge to generate at approximately $5.5 billion dollars, and is set to span a whopping 1,172 km. The most effective thing Canadians can do right now would be to sign and share the No Tankers petition. The more people who sign the petition the better able we are to exercise the power of Canadians who stand up for their values.